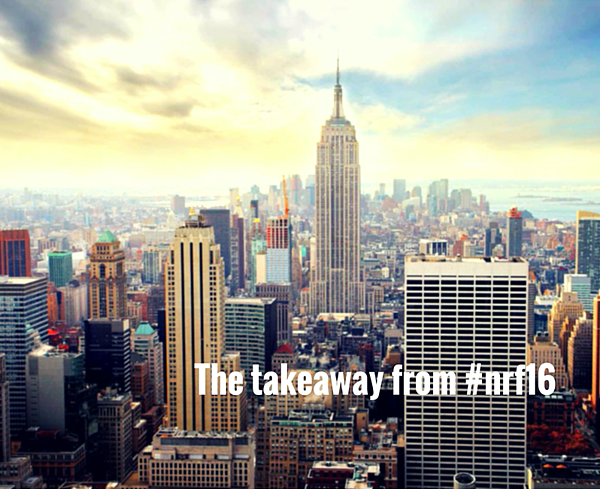 We learned a lot during the NRF's "Retail's Big Show". Our biggest takeaway came from HSNi CEO, Mindy Grossman, who asserted that the shopping experience for consumers isn't siloed anymore. We are now in the age of what she called "boundaryless retail", which in Salsify speak means distributed commerce. Retailers and brands who aren't aware of this new phenemon are going to miss out on a lot of opportunities. Check out our video blog to hear the whole story!